If I had to choose my weapon of choice when it comes to being in the kitchen, I’d definitely choose cooking as opposed to baking. But on occasion I get the urge to bake, and one of these occasions happen to be during this festive month of December. I just baked these delicious pumpkin walnut bars last week for my coworkers at a our annual holiday party and it was a huge hit. The great part is that it’s really not too difficult to make, and you get to tell everyone that you didn’t make it from cake box mix. These moist, wonderfully textured and most of all, not too sweet but still yummy pumpkin bars comes from an adapted recipe I found on Sweet Pea’s Kitchen if you’re curious of the original recipe. For the dry ingredients: In a large mixing bowl, combine the flour, baking powder, cinnamon, salt, and baking soda together. Mix everything together thoroughly. For the wet ingredients: In a separate bowl, combine together the eggs, vegetable oil, melted butter (mmm), and combine it all together. Slowly whisk in the wet ingredients into the dry ingredients mixing bowl. Stir gently as you mix everything in to ensure a smooth consistency. Slowly add in the walnuts as you stir. The outcome should be a creamy texture, with delicious walnut bits. Be careful not to overmix – this may cause the creaminess to thin out. 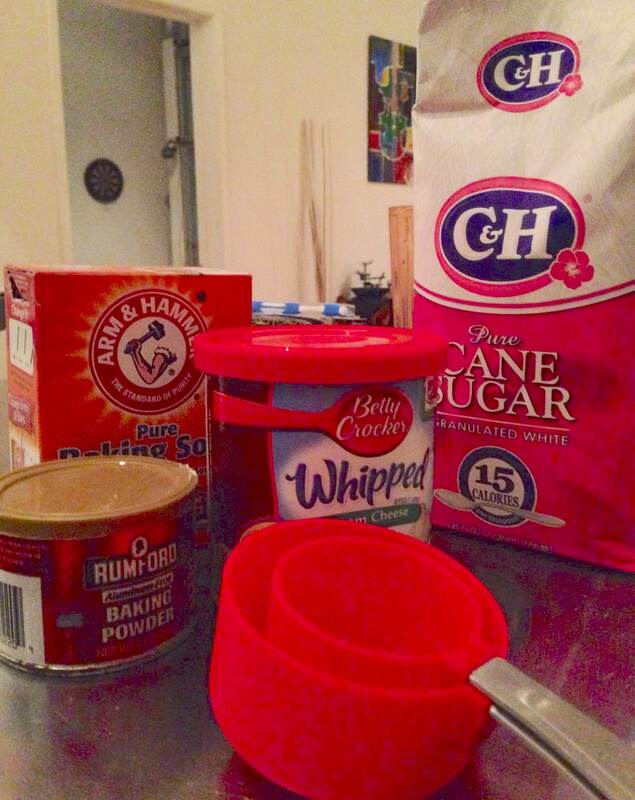 Evenly pour the batter into a 13×9 inch greased pan. Bake for approximately 25 to 30 minutes. I baked mine for 25 minutes to the tee, and it came out perfectly. Don’t eat yet… you’re almost there! 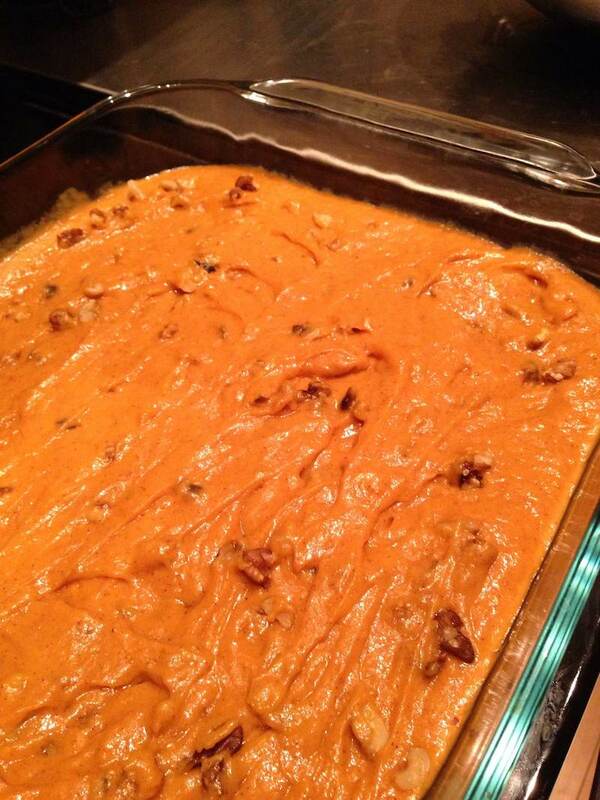 Let the pumpkin bar cool off completely first before you put on the frosting. This helps the top layer from accidentally peeling off when putting on the frosting layer. I allowed mine to cool overnight and frosted it up the following morning. 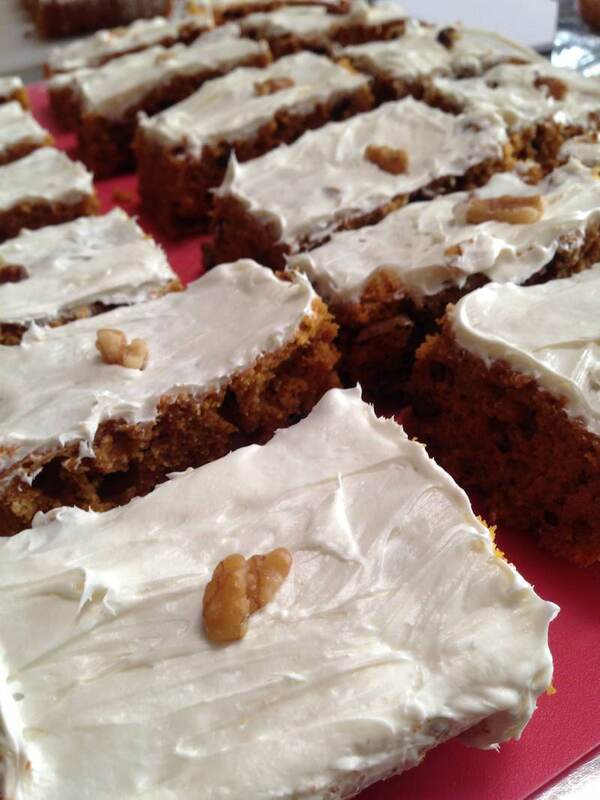 Using a spatula, evenly spread the cream cheese frosting over the pumpkin bars. 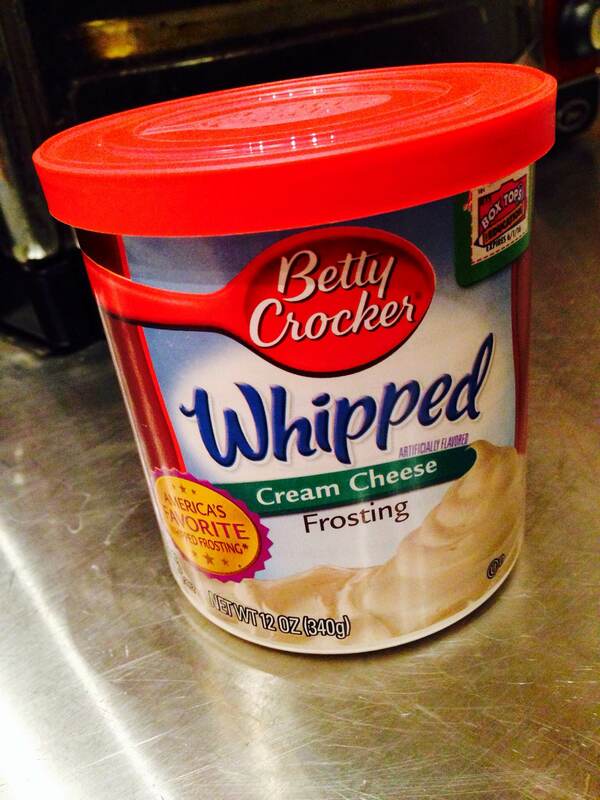 For the lazy, I recommend Betty Crocker’s Whipped Cream Cheese Frosting. It’s light and fluffy, and tastes amazing. For an added touch, I like to put any remaining walnut pieces over the walnut-pumpkin bars. 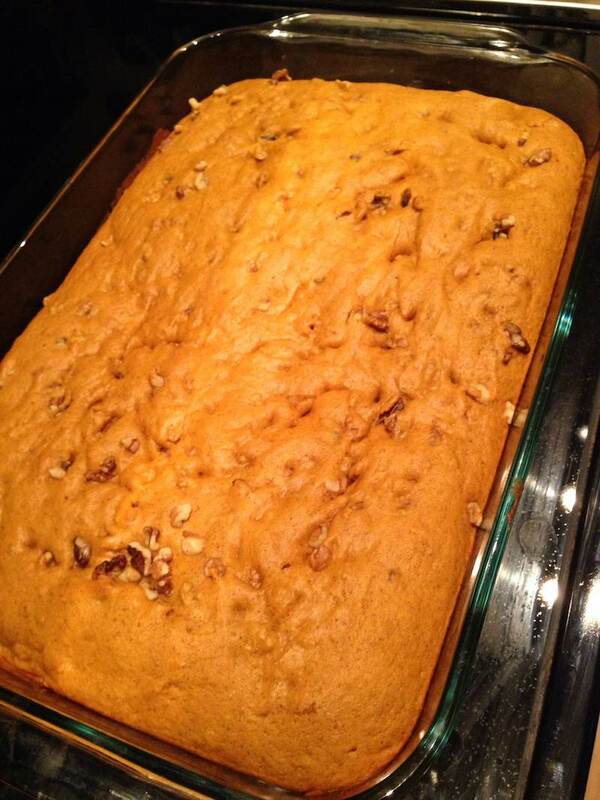 This entry was posted in Do, Stuff we love, Taste and tagged baking, bar, cream cheese, dessert, easy, frosting, holiday, pumpkin, recipe, walnut. I love pumpkin pastries/desserts/stuff and will need to try this recipe. Looks/sounds delicious!!!! When there is a term pastries then there is always something comes up with pumpkin.Yummy and healthy at the same time! !